This is a guide on how to be a good section commander and lead your section to success. This is taken from my experience in game and in the real life workplace, it specifically applies to Infantry sections for any team. What should you be doing as a section commander? N.B Section Commander and Squad Leader are the same thing. If you're new to the game and you might want to give section commanding a try, have a go, its fun, you get automatic weapons and you have more control of the battlefield than a regular infantryman. Section commanders (SC's) are first and foremost leaders. 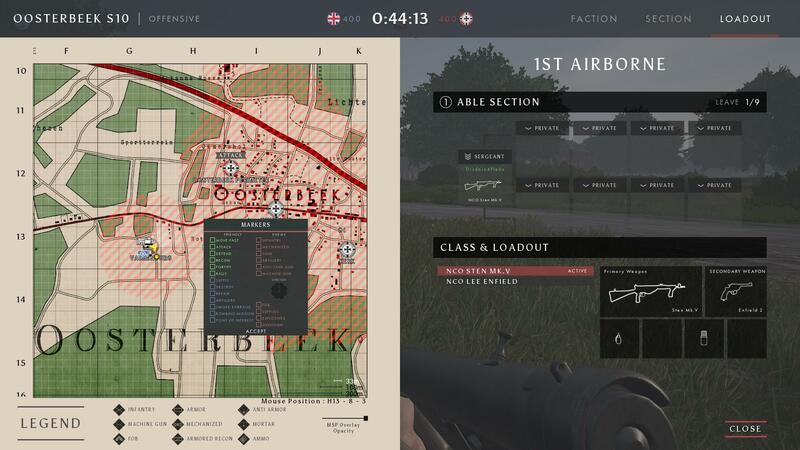 Post Scriptum is a game that has this huge emphasis on leading and working together as a team, as a section commader this is your focus. It can be a bit difficult and stressful at times, but once you get the hang of it, it can be very fufilling. Section commanders must communicate with their section and team, i highly advise you have a microphone and headphones if you plan on trying it out. You will get rather negative feedback if you are a section commander without a microphone. SC's must be able to make decisions, dont be indecisive, it's not necessarily about making the right decision, but making a decision. Choose something, if you're playing in a high intensity squad, then they are relying on you to make a call. SC's must be able to keep their cool, it takes time, it is a length process, you will have to constantly check your map, mark indicators, confirm indicators, co-ordinate with other sections and the platoon commander. For all of this takes time, and you must be able to keep your cool. If you're in a section that is willing to play as different roles then you are sweet. Remeber, you only get a limit to how many specialist classes per section, as such you need to ensure your section has the most beneficial classes present. (Attached is a copy of the British classes). Each section has a total of 9 players, 1 section commander (you) and 8 infantry types. The weapon you choose as a SC is up to your preference, as a British SC i typicaly choose the Lee-Enfield for its range, but as a German ill pick the Stg 44 for its flexibility, range, accuracy and fire rate. Assuming the sqaud is a full 9 people, the following is the best possible set up. (British Basis). Most people will pick marksman straight away, whilst it can be helpful, these are often people who dont plan on contributing and instead want to run around and get kills, as a SC you can kick people from the squad if necessary. So always be weary. If you're undecided on the free spot, in my opinion it's best to pick Sapper, this not only provides a second anti tank capable soldier, but also a Sten gun. Having a few more automatic weapons never hurts. How do i lead a section? How do i do it and not be sh*t? Understand that a section commander is a responsibility. You must be able to lead and you have to be able to communicate. Only as a SC, when you press "T" you open up a wheel menu, this menu is your life and your great friend. 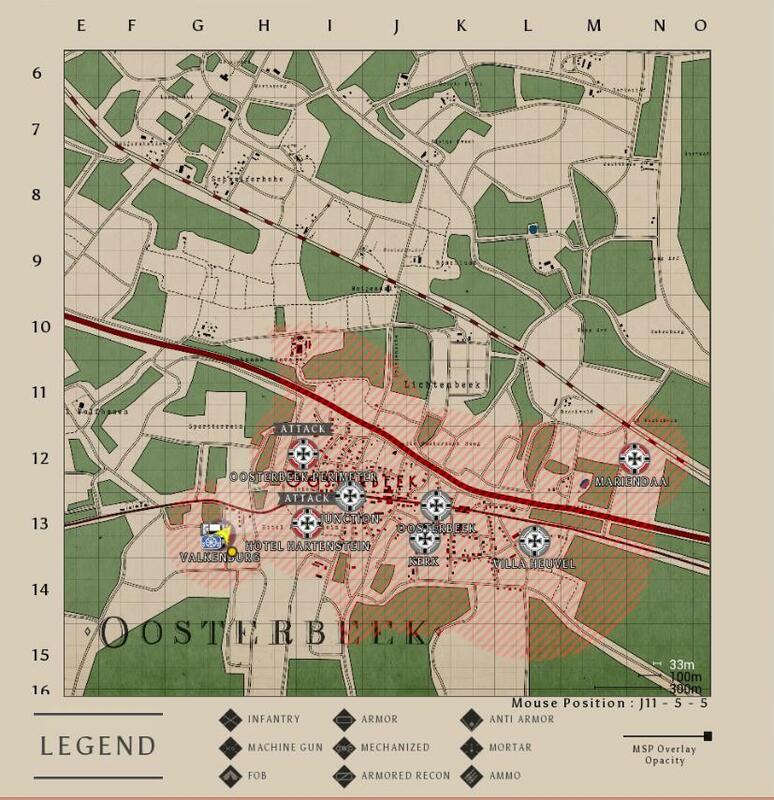 It will allow you in person to mark targets, place structures and set points for your team and your squad. This can be done on the map by right clicking. It's quite simple when you get down to it. On the map. 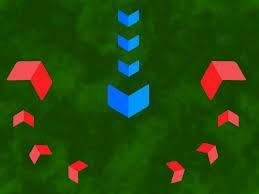 Each whole letter sqaure is around 300 meters, each of the 9 squares within it are 100 meters. It's good to get an understanding of distance, it allows you to more accurately mark targets. 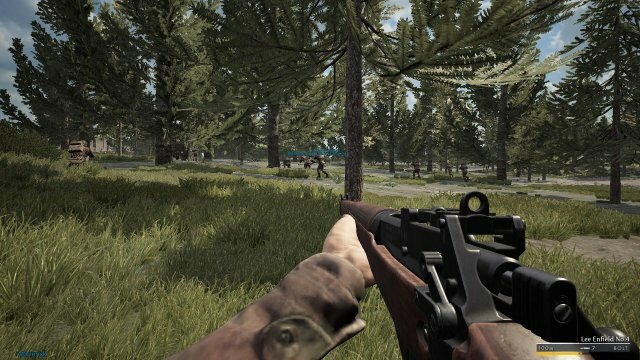 This can also be done through the scope of your binoculars by aiming down sight with the bino's and pressing T, it allows you to visually mark a target without opening the map. Note however, this has a maximum distance of around 300 meters. Understand that communication is one of the most important requirements in the duties of a section commander, you must be able to communicate with your section, your fellow squad leaders and your platoon commander. By pressing "V" you can voice chat with friendlies that are within a short distance. By pressing "B" you can voice chat with your entire section, regardless of distance. By pressing "G" you can voice chat with the other section leaders and the platoon commander. You can also voice chat with individual section commanders by using the num pad, simply press the relevant number to the section commander you want to speak to. Numpad 1 for section 1, 2 for 2 etc etc. You should also understand what to communicate. Dont spam the microphone, but let your squad know what they should need to. Identify armour, anti tank guns, mortars, MSP's and groups of infantry. Dont call out every time you get shot at or every time you see a single enemy soldier. Simply, see it, mark it, kill it, or if it is important enough tell your squad or team. As a section commander, you need to be able to lead your men. You are in charge of a section of 9 people, use them effectively. As a section commander you must make decisions for your men, where to go, what to do, who to shoot. It is important that you use the map to make your decisions. 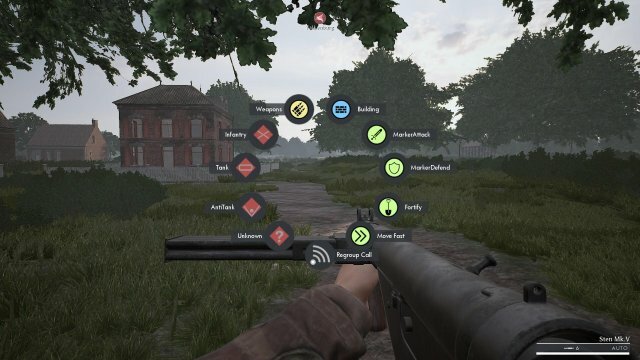 Check the map, use your markers, place rally and move fast indicators, this allows your squad to see what you see as they cannot themselves place markers. The following are some ways you can use your section in the game. A single envelopment, also known as a flanking manoeuvre is when you have one supporting element (your machine gunner and a rifleman) suppressing the enemy element and the rest of your section sweeping around and flanking them. 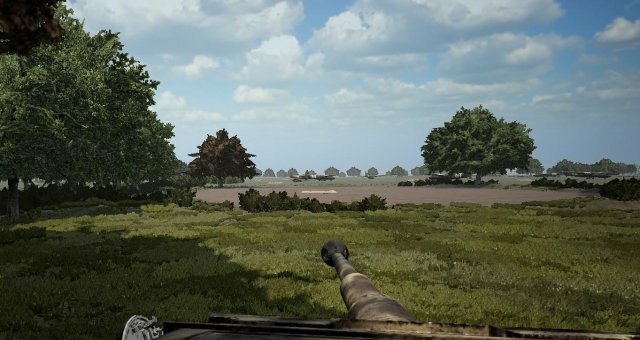 Always support your machine gunner with a rifleman, this allows your machine gunner to reload and be covered themselves, it also gives them support and allows the rifleman to visually spot target that the machine gunner may not have seen. By having your machine gunner fire at the enemy, it keeps their heads down, they wont see the rest of your section flanking them. This is the same principle of a double envelopment. This is a double flanking manoeuvre, again, keep your machine gunner and rifleman in place, have them suppress the enemy and keep their heads down. Then as section commander take yourself and two men on one flank (best if you have a SMG for this), and have the other four men flank in the other direction. Just be careful about crossfire and try not to kill your sqaud mates. Lets say you're trying to take a large house that has a section inside it. Both sides have the same section set up as was stated in part 2 of this guide. So how do you start off? Lets say you're the British side. The biggest threat to your section is the emeny machine gunner, that MG 34 or 42 will cut down your section without second thought, that should always be your priority to destroy. 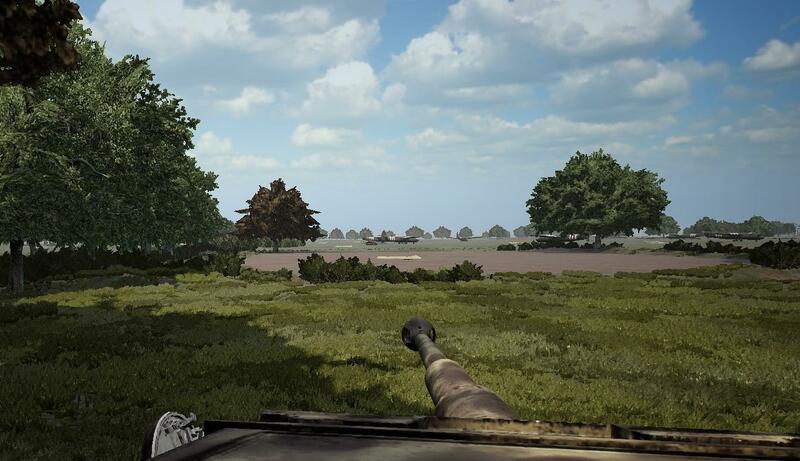 Place your machine gunner in a good position that can overlook all enemy emplacements. Best positions include next to trees, in bushes, on raised earth. Use your WP (white phosphrous) grenades to place a smoke screen, place it on the flanks, dont obscure the machine gunner's view, it is always best to flank, never attack straight on, dont crawl or run crouched, sprint. It is very difficult to hit a running target, much harder than that of a crawling target. Use hand grenades, they're extremely effective and can be thrown quite far. Your rifle can kill in one shot but your pistol fires much faster, be aware of which weapon you can use better and choose carefully. Your life kind of does depend on it.